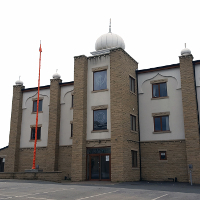 A video surveillance solution manufactured by Tyco, the security products division of Johnson Controls and installed by Kings Secure Technologies, is helping deter and detect hate crime directed at worshippers who attend the Gurdwara Singh Sabha in Bradford. 32 high definition Illustra IP network cameras from Tyco have been installed to monitor activity around the site of the Sikh place of worship, in order to identify anyone showing hostility towards the congregation. The Gurdwara Singh Sabha is sadly not alone in being a place of worship that has been the victim of hate crimes. Throughout society as a whole, 2017 saw over 68,000 acts of aggression in the UK being recorded as being motivated by racial or religious prejudices. System integrator, Kings Secure Technologies, was one of three companies invited to compete for the contract to install the new video surveillance system following on from a risk assessment carried out by a ‘Designing Out Crime’ officer from the West Yorkshire police. “The members of the Gurdwara wanted to take advantage of the very latest video surveillance technology in order to provide the police with high quality video evidence of any incidents or suspicious activity,” said Paul Atherton, Chief Sales & Marketing Officer at Kings Secure Technologies. 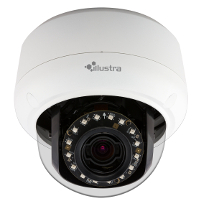 The 32 installed Illustra cameras are a combination of indoor and weatherproof, vandal-resistant 2 megapixel and 3 megapixel mini-domes. With Wide Dynamic Range (WDR) and built-in IR illumination, they are designed to work effectively across a wide range of lighting conditions from bright sunlight to total darkness. As such, they are an ideal solution for when there is a need to capture faces and the vehicle number plates. installed by Kings, ensures that the images captured by all 32 cameras are recorded around the clock. The IP04-12T-DT has 64 camera channels and so provides the Gurdwara with the option to install further cameras should it need to do so in the future. The Gurdwara was originally a pharmaceutical production factory which has been converted into a place of worship and extended to provide space for educational and recreational activities as well functions, such as weddings. “Our Gurdwara is in almost constant use by the Sikh community in Bradford. We have installed the cameras so that we can assist the police in prosecuting anyone who commits a hate crime by being insulting or verbally aggressive towards any of our worshippers or visitors,” said Surjit Singh, a member of the Gurdwara.